June 19th marked the semi-annual reconstitution and rebalance of the Cancer Immunotherapy ETF’s (Nasdaq: CNCR) underlying index. This happens in two steps. First, a committee of advisors that oversees the index gets together and determines the reconstitution, which means they decide if any new companies should be added. Second, once the index’s holdings have been finalized, a rebalance occurs and each company is given equal weight. CNCR ETF then places trades to replicate those changes as closely as possible. For the June meeting, the committee has added six new immunotherapy companies to the index. 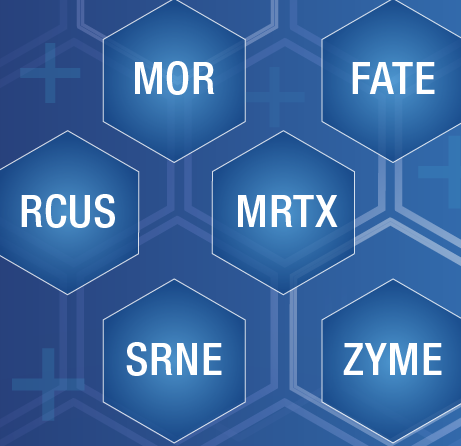 They are Arcus Biosciences (NYSE: RCUS), Fate Therapeutics (Nasdaq: FATE), Mirati Therapeutics (Nasdaq: MRTX), MorphoSys (Nasdaq: MOR), Sorrento Therapeutics (Nasdaq: SRNE), and Zymeworks (NYSE: ZYME). These companies all bring compelling approaches to cancer research and have clinical trials underway that we hope will lead to important advances for patients. In addition, the Committee has chosen during this meeting to decrease the target number of index components to 25 from 30. This was done with the goal of 1) strengthening the liquidity profile by boosting the market cap of the smallest component and 2) lowering the exposure to smaller companies that have not yet demonstrated proof of concept in early clinical trials. To help the fund’s investors and followers learn more about these additions, we have provided a brief background on their work and what sets them apart. The CNCR ETF is thrilled to welcome each of these companies to the fund. Arcus Biosciences is based in Hayward, California and was founded in 2015. It went public in March of 2018 on the New York Stock Exchange. The stated goal of the company is to develop innovative cancer immunotherapies based on known but under-exploited biology. The lead program (AB928) is a dual inhibitor of the adenosine pathway, which is believed to play a role in driving immune-suppression in the tumor micro-environment. A phase 1 trial testing AB928 as monotherapy is fully enrolled and FDA recently cleared trials to begin testing the drug in combination with a PD-1 inhibitor (which is fully-owned by Arcus) or other medicines like chemotherapy. Arcus also plans to submit regulatory filings in the middle of this year to start trials for an anti-TIGIT antibody and a CD73 inhibitor. 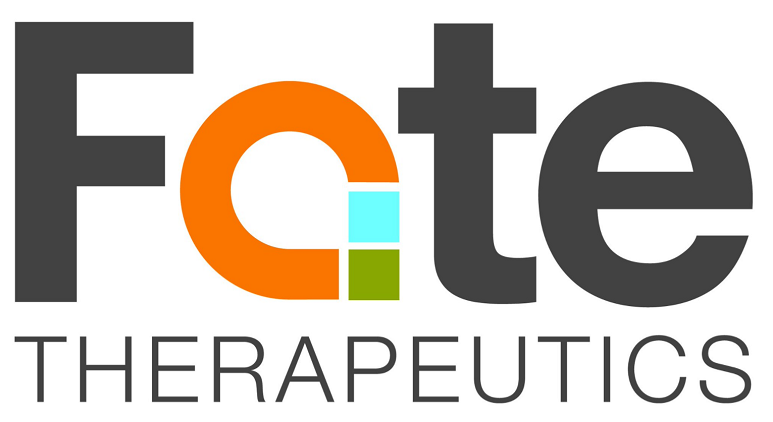 Fate Therapeutics had its initial public offering on Nasdaq in 2013. Since then the company has been focused on the development of next generation cellular immunotherapies. Most cellular immunotherapies today like CAR-T treatments are autologous, which means the cells used in treatment are harvested from the patient’s own body. Fate instead is trying to use cells from healthy donors, which they aim to modify and improve the function of. They are also leaders in researching the use of induced pluripotent stem cells to create cell therapy products. Fate currently has clinical trials using natural killer cell (NK) therapies against cancers such as ovarian cancer and acute myeloid leukemia. The company has a partnership with Memorial Sloan Kettering Cancer Center (MSKCC) in New York and recently expended their license with MSKCC to include gene-edited T-cell immunotherapies. Mirati Therapeutics began trading on Nasdaq in 2013. The company has two main cancer medicines under development in clinical trials. The first, Sitravatinib, is a multi-kinase inhibitor that is being tested in non-small cell lung cancer and other solid tumors. Kinases are regulators of signaling, growth, division, and other survival pathways in cells. The company says they believe this drug overcomes resistance to immunotherapies like checkpoint inhibitors by reversing an immunosuppressive tumor microenvironment, enhancing antigen-specific T cell response, and expanding dendritic cell-dependent antigen presentation. Mirati’s second medicine, Mocetinostat, is an HDAC inhibitor that is being tested in non-small cell lung cancer. HDAC is found in immuno-suppressive cells such as myeloid-derived suppressor cells and regulatory T cells. By inhibiting HDAC, this class of drugs might reduce the ability of those cells to hold the breaks on the immune system. MorphoSys only began trading as an American depository receipt (ADR) on Nasdaq for the first time in April of 2018, but this German company has been publicly traded in Europe since 1999. Since the underlying index of the CNCR Immunotherapy ETF only allows U.S. listed securities as components, we are pleased to now be able to offer exposure to MorphoSys through its ADR. MorphoSys is a leader in antibody development and says it has over 100 distinct drugs in research and development. Some its cancer immunotherapy assets in clinical trials today include a monoclonal antibody that binds to 4-1BB called Utomilumab that is being developed in partnership with Pfizer, a monoclonal antibody against CD19 for the treatment of B cell malignancies called MOR208, and a human monoclonal antibody directed against CD38 for the treatment of multiple myeloma. Sorrento is listed on Nasdaq and has been publicly traded since 2010. It has been a component of the CNCR Immunotherapy ETF in the past and we welcome it back to the fund. A major focus of the company is to develop CAR-T cellular immunotherapies. In March of 2018, the company announced initial results of a phase 1b trial of it anti-CEA CAR-T for the treatment of pancreatic and colorectal cancers. It also recently started screening patients for a first in human study of its CD38 CAR-T for the treatment of multiple myeloma and has said that it also plans to develop a BCMA CAR-T for multiple myeloma as well. In addition, Sorrento has a joint venture in Asia with a Korean company called Yuhan that has recently begun studies of an anti PD-L1 checkpoint inhibitor in the region. Sorrento also recently participated in the formation of a new private immunotherapy company in February called Celularity and has given Celularity access to a library of more than 50 fully human antibody-CAR constructs. Zymeworks is based in Vancouver, British Columbia, Canada. It had an initial public offering on both the Toronto Stock Exchange and the New York Stock Exchange in May of 2017. The company seeks to be a leader in developing bi-specific antibodies and bi-specific antibody-drug conjugates. In addition to developing its own assets, it has licensed its technologies to large pharmaceutical companies like Merck, Eli Lilly and Company, Celgene, GSK, Daichi-Sankyo, and Johnson & Johnson. Daiichi Sankyo, for example, just announced in May that it was expanding its cancer immunotherapy collaboration with Zymeworks to add two more bi-specific antibodies to its pipeline in addition to one it has already been developing since 2016. In terms of its wholly-owned assets, Zymeworks recently presented data from its ZW25 bi-specific antibody that targets HER2-expressing cancers like certain breast and gastric cancers at the American Society for Clinical Oncology annual meeting in Chicago. Thanks, as always, for your interest in the field of immunotherapy and support of the Cancer Immunotherapy ETF. We are pleased to welcome these new companies in the fund and wish them the best as they work to make a difference for patients. Opinions expressed are those of the author or Funds and are subject to change, are not intended to be a forecast of future events, a guarantee of future results, nor investment advice. Fund holdings and allocations are subject to change at any time and should not be considered a recommendation to buy or sell any security. Pfizer, Yuhan, Celularity, Eli Lilly and Company, Celgene, GSK, Daichi-Sankyo, and Johnson & Johnson are not a holding of the Fund or affiliated with the Fund.